145cm long stirrup leathers. Made of extremely soft German leather; double stitched to provide the highest quality. Also come with the ANKY Buckle cover to protect the buckle of the stirrup leathers and ensure total comfort for the rider. The chin protector is made of technical neoprene for extra comfort, durability and ease of cleaning (machine washable). 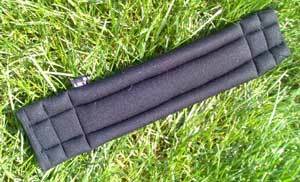 The protector is available in black colour only; and in one size, however it is easy to shorten as required. It has elastic loops for attaching to the bridle and is designed to fit between the chin and the underside of the noseband, to help prevent pressure and chaffing. A high quality nourishing formula of lanolin, beeswax and avocado oil to care for and protect smooth leather. Effax Leather Care Products are manufactured in Germany from high grade natural components for over ninety years. The fat-free care and cleaning agent. With regular application leather becomes skidproof and tearproof. Takes the place of saddle soap. Greasy spots on equestrian clothing are things of the past. Sweat residues are removed quickly and permanently. Effax Leather Combi is polishable and does not attract dust. Padded crank noseband, padded browband and anatomically shaped padding for behind the ears/over the poll. The noseband has adjustments on each side and with its all in one design does not slip from side to side, but stays horizontal. Includes ANKY reins; Bradoon rein is high grip rubber on underside bonded to leather, the weymouth rein, plain leather. Patented adjustable top and solid foot plate in a great black finish for that different look. 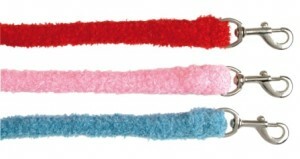 These stirrups give you the ULTIMATE ride! Secure, balanced and comfortable. Take the pressure off knees, hips and ankles with these Intelligent Stirrups®. Available in true sizing of 4.25”, 4.5”, 4.75” and 5”. Made from Quality Stainless Steel with the patented adjustable top and solid foot plate. These stirrups give you the ULTIMATE ride! Secure, balanced and comfortable. Take the pressure off knees, hips and ankles with these Intelligent Stirrups®. Available in true sizing of 4.25”, 4.5”, 4.75” and 5”. Patented adjustable top and hinged foot plate in a great black finish for that different look. 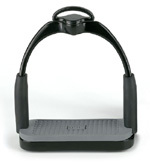 These stirrups give you the ULTIMATE ride! Secure, balanced and comfortable. Take the pressure off knees, hips and ankles with these Intelligent Stirrups®. Available in true sizing of 4.25”, 4.5”, 4.75” and 5”. 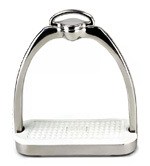 Made from Quality Stainless Steel with the patented adjustable top and hinged foot plate. 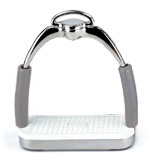 These stirrups give you the ULTIMATE ride! Secure, balanced and comfortable. Take the pressure off knees, hips and ankles with these Intelligent Stirrups®. Available in true sizing of 4.25”, 4.5”, 4.75” and 5”. A very different style of lead rope. Thick heavy duty braided material with a very soft feel. Ample 2m length with nickel plated heavy snap. Easy to tie up. 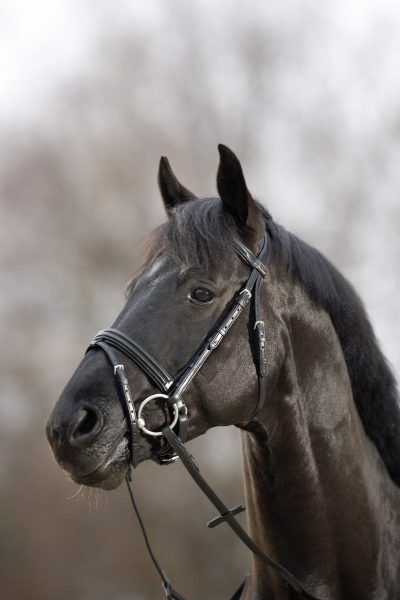 100% Leather ANKY Bridle , with great design features. 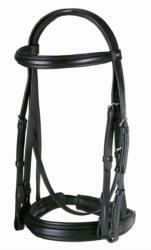 Padded crank noseband, padded browband and anatomically shaped padding for behind the ears/over the poll. The noseband has adjustments on each side and with its all in one design does not slip from side to side, but stays horizontal. Reins not included. Incredibly soft 25mm cushioned web with a contrasting centre stripe. 8 metres long with a sewn hand loop and snaphook. Packaged in a see through PVC carry bag.